This is good news for all bank and post office customers. 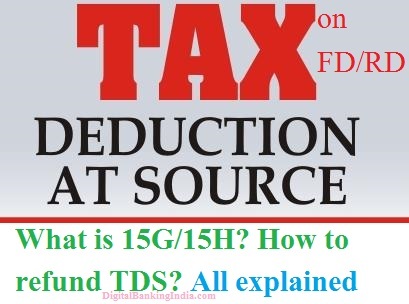 Sometimes customers forget to fill 15G form in the bank, Bank deducts TDS @ 10 percent. But now If you have FD (fix deposit) and total interest is only 40000 in a financial year. You no need to worry.